Traveling between Nice and Monaco along the moyenne corniche, one will find access to the village of Eze . A medieval fortified village made of stone; stone walls, stone, buildings, and cobblestone roads, rising 1,401 ft (427 meters) above the Mediterranean Sea. The roads and paths are narrow and the numerous steps and cobblestones are not for those that have difficulties walking, so choose your footwear carefully, but the beauty of this village is well worth the efforts. In the early 1990’s I vacationed with friends on the Côte d’Azur and we had a memorable dinner in Eze. I always thought it was one of those special places I would return if I came back to this area. Fast forward to 2015 and I am back with friends (one of which is my ACJ partner), for a special occasion and going to an event. Once our travel plans were in place it was a no brainer to book dinner at Chèvre d’Or in Eze. 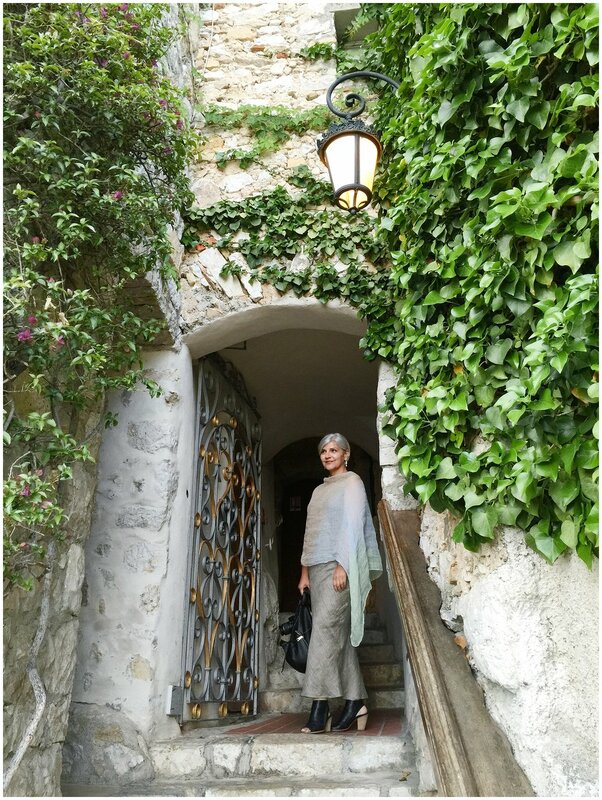 https://www.relaischateaux.com/us/france/restaurant/la-chevre-d-or-alpes-maritimes-eze-village. The owner purchased the restaurant structure and later acquired surrounding homes to add rooms. It’s believable because the hotel feels like a collection of small houses rather than one “hotel”. 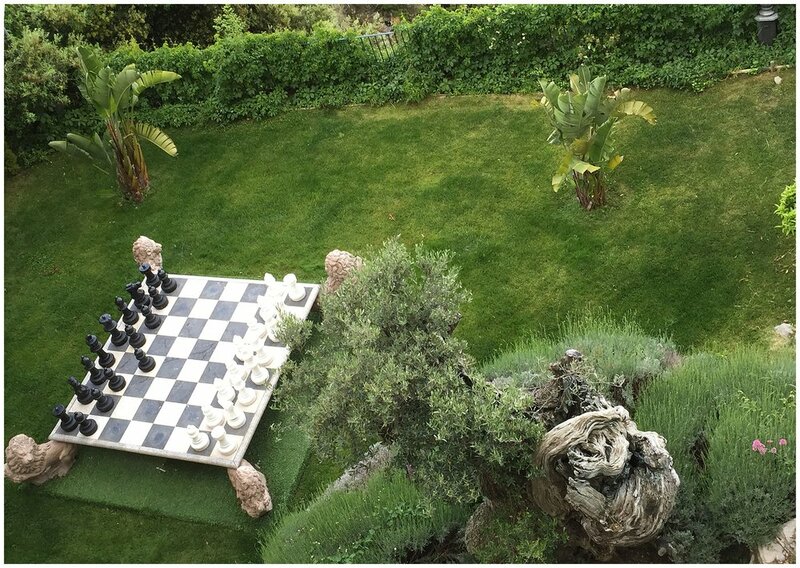 Today the property has 40 rooms and feels like a villa descending the hillside with well appointed landscaping, sculpture menagerie, giant chess set, fountain and foot paths. 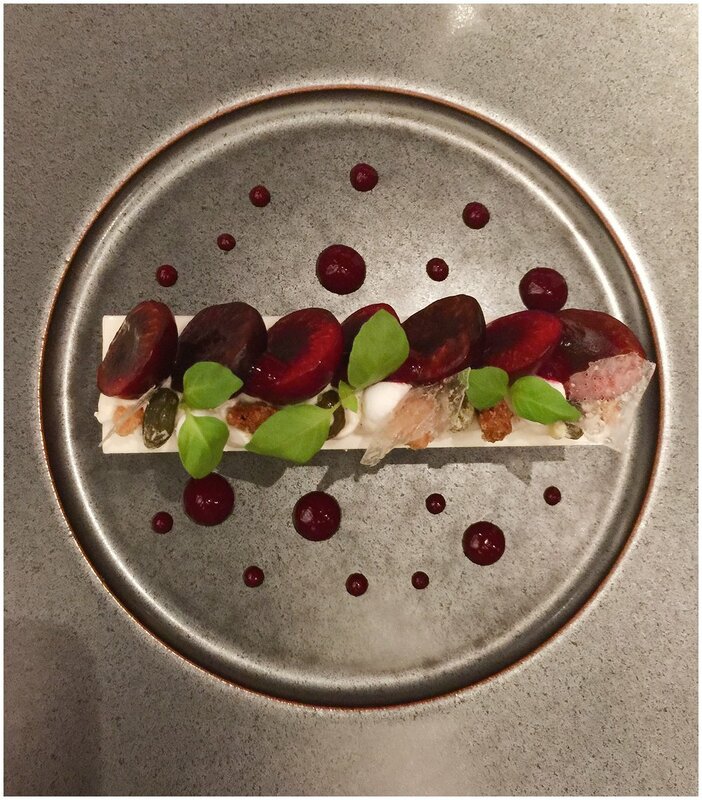 At the Chèvre d’Or restaurant, chef Arnaud Faye cooks in celebration of the Terrior and contrasts around him: Marine, mineral, vegetal. The event that brought us to the area was the Monaco Grand Prix, and here Chef Faye created a Grand Prix themed menu and wine pairings that was perfection and served by an outstanding staff. The views from the dining room are in and of itself a reason to go (and return) to the restaurant. If you go for dinner arrive early for a stroll around the village, photos and to absorb the scenery. I said it once, and I will say it again (along with my ACJ partner)......We will return! TIP: Ladies, stilettos and cobblestones do not get along!